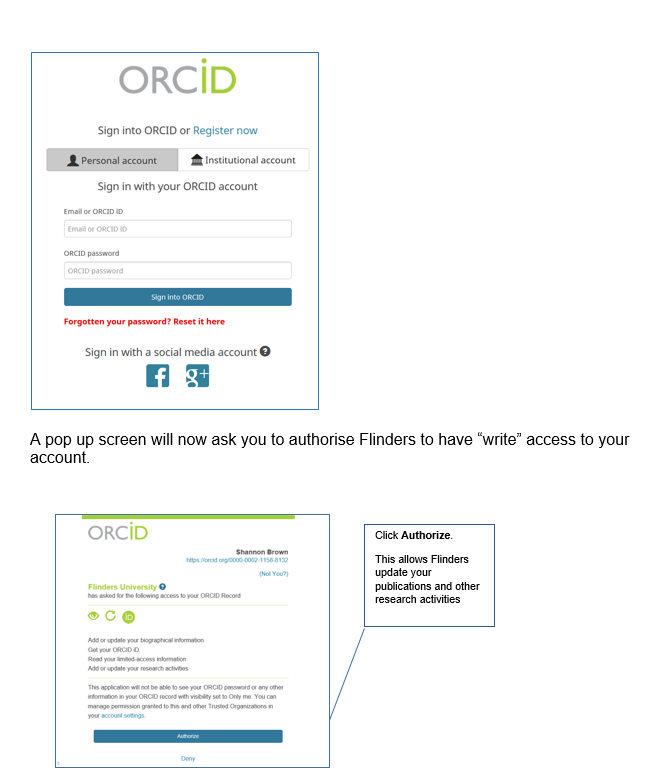 Flinders University is implementing ORCID through the University's research information system (RePortal). Click on the link below and sign in to RePortal with your FAN and password. The University is seeking Write Access of your record. 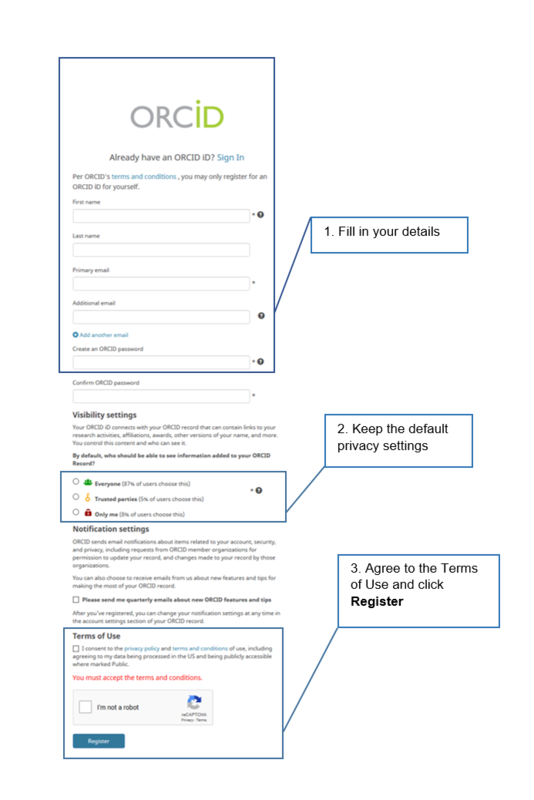 Sign up with your name and email or connect your existing ORCID by signing in to your ORCID profile. Click on “Authorise” for Flinders University access.